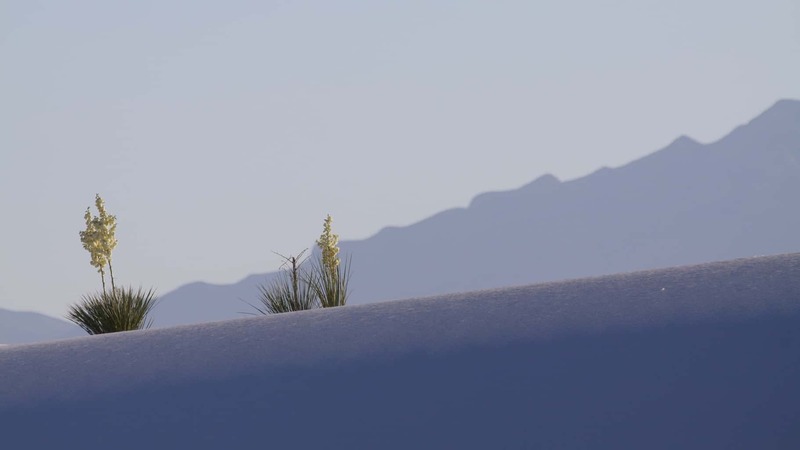 Bugs Bunny used to complain about taking a ‘wrong turn at Albuquerque’ and getting lost in the desert in the middle of nowhere. 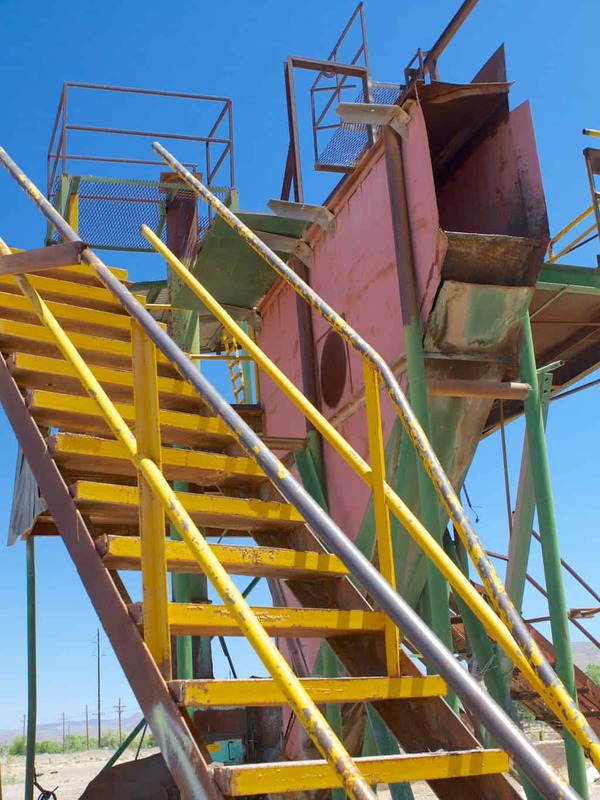 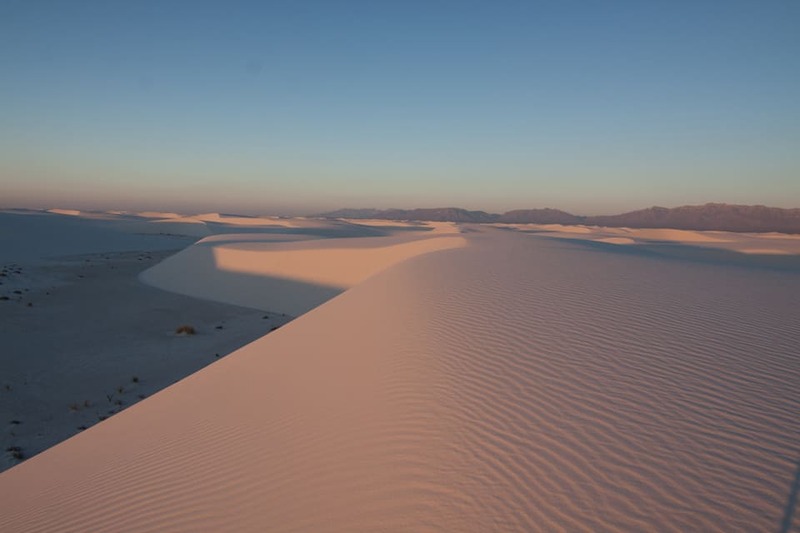 It’s easy to understand how going a little off the main routes in New Mexico can take you to some pretty bizarre and ‘out there’ places, some downright alien-looking. 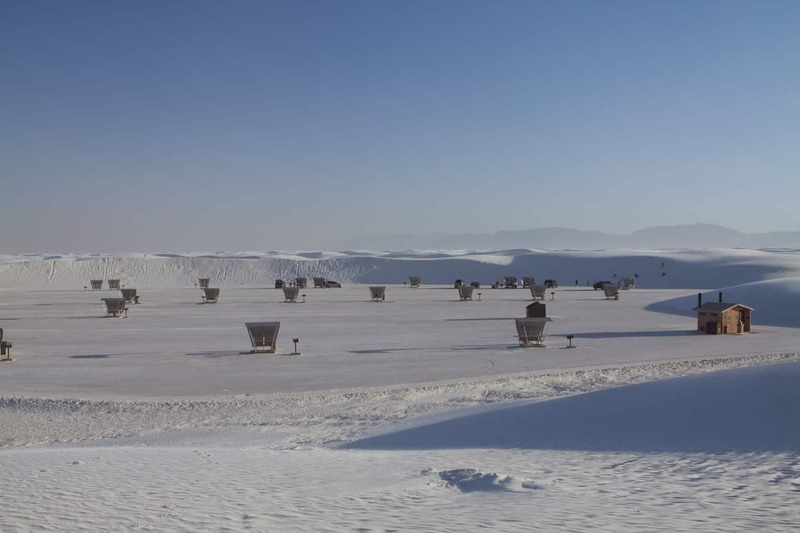 Which may explain why it is in New Mexico where you will find the Very Large Array, a Y-shaped installation of 27 giant radio antennas fanned out over the Plains of San Agustin, whose giant dishes are trained on deep space in search of intelligent transmissions. It may also explain why this is the state where the first atom bomb was exploded (Trinity Site), right beside a national park known for endless miles of white gypsum dunes, plucked straight from what looks like the planet Hoth in Star Wars’ The Empire Strikes Back. 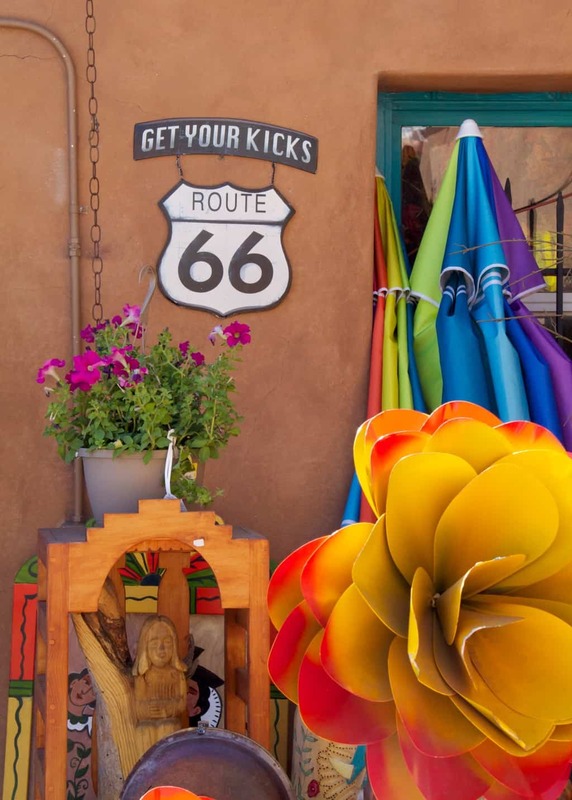 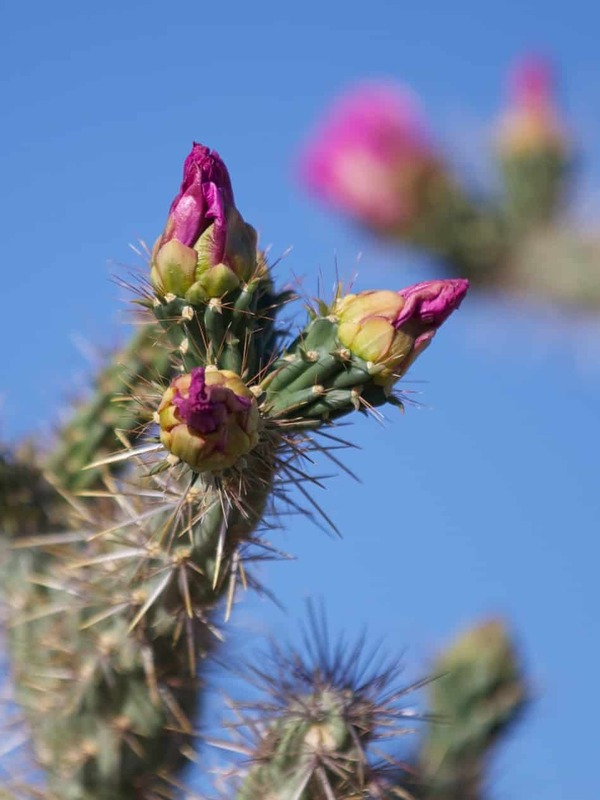 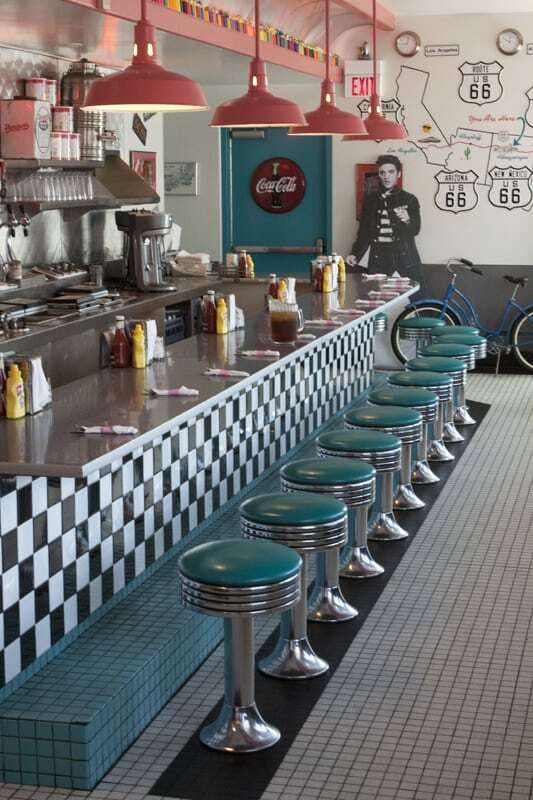 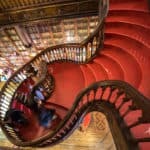 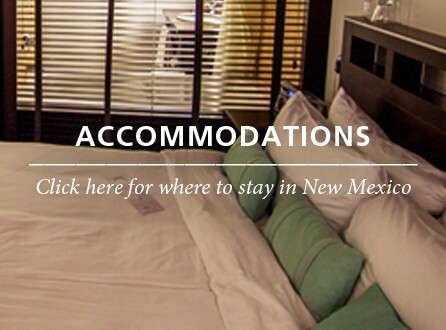 If otherworldly landscapes aren’t reason enough to visit New Mexico, there are more cultural activities to be found in its towns and cities, ranging from browsing art and restaurants in communities like Santa Fe or Taos, to shopping for souvenirs in urban centres like Albuquerque. 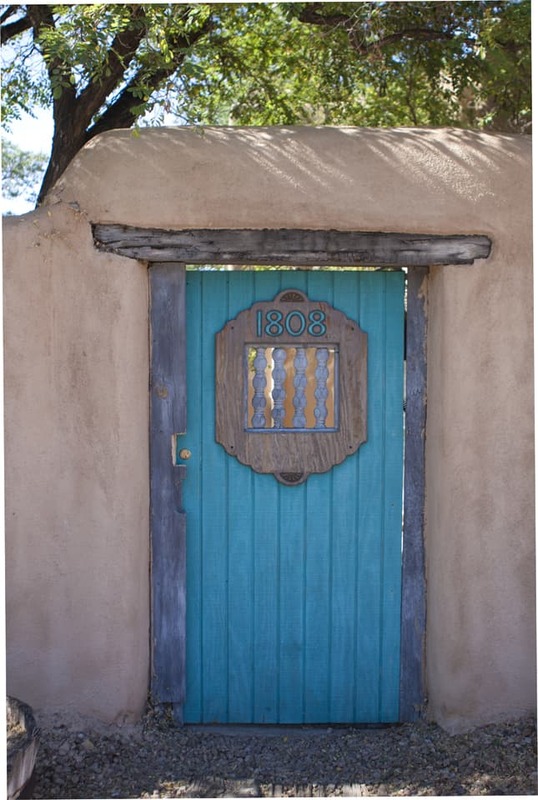 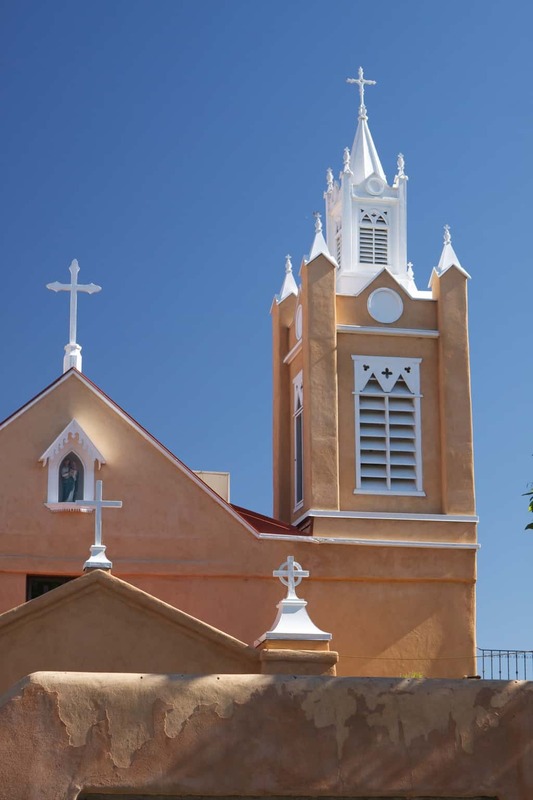 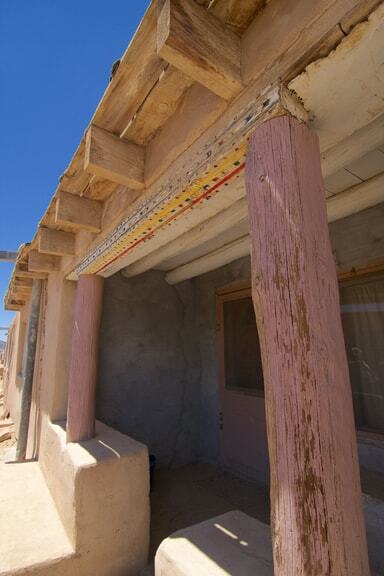 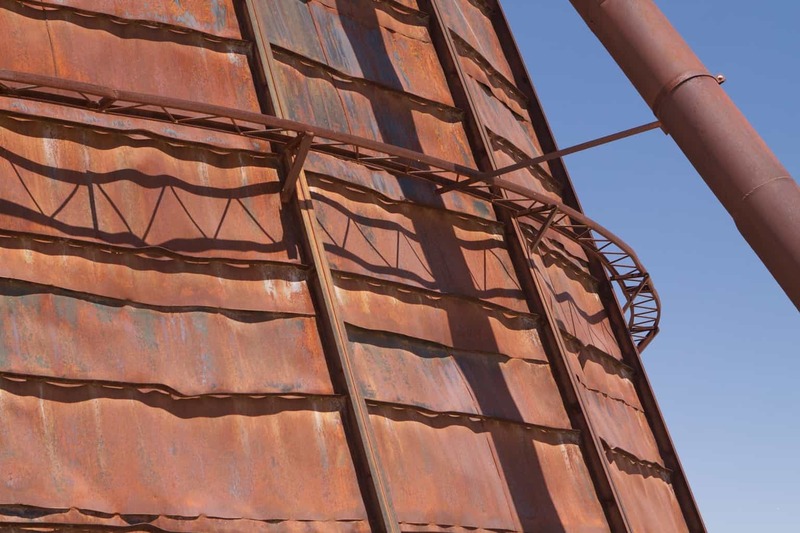 New Mexico is also home to 19 Pueblos, Native American groups who live across the state in communities where they go to great efforts to preserve their art, culture, and religion. 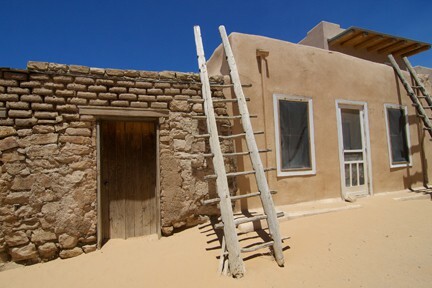 Some of the Pueblos welcome visitors, like the Acoma Pueblo outside of Albuquerque, whose pueblo sits atop a mesa hundreds of feet above the surrounding plain, and is aptly named Sky City. 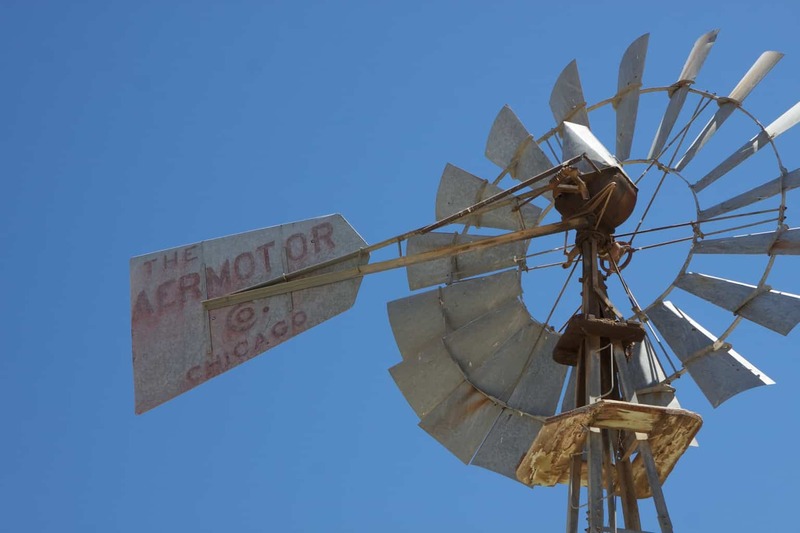 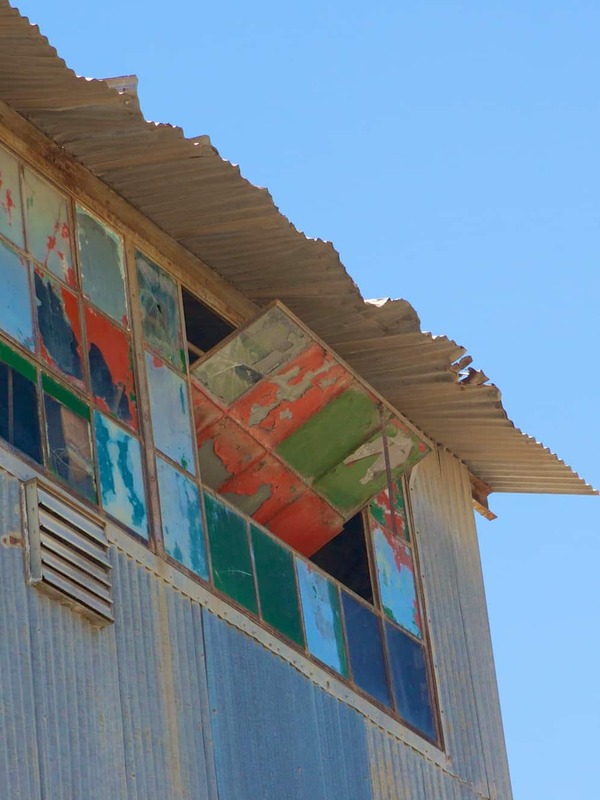 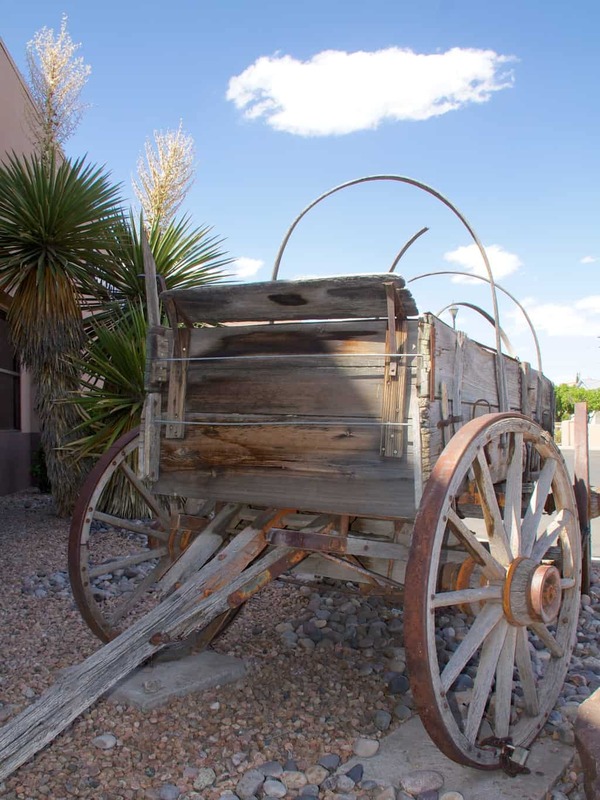 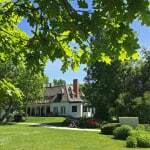 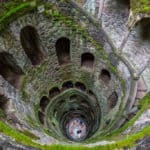 One of the oldest continually-inhabited cities in the U.S., Sky City has been home to these people since before the twelfth century, and still maintains a resident population even though its remote location makes living there difficult. 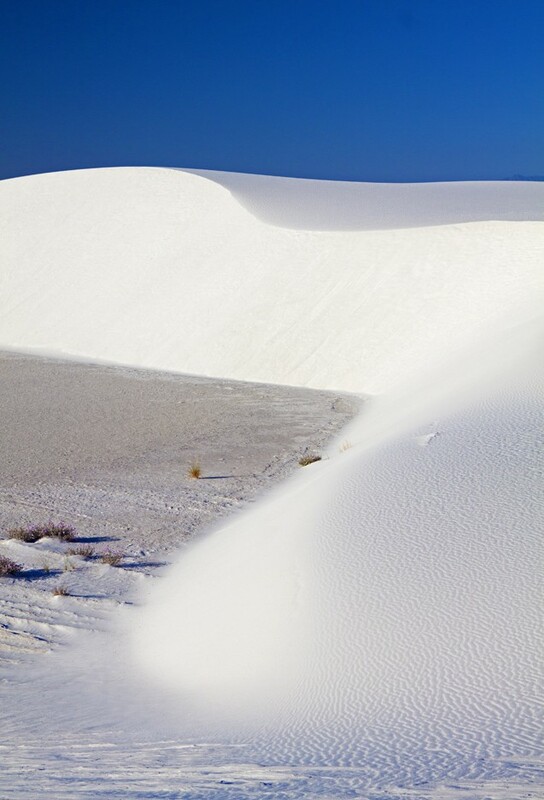 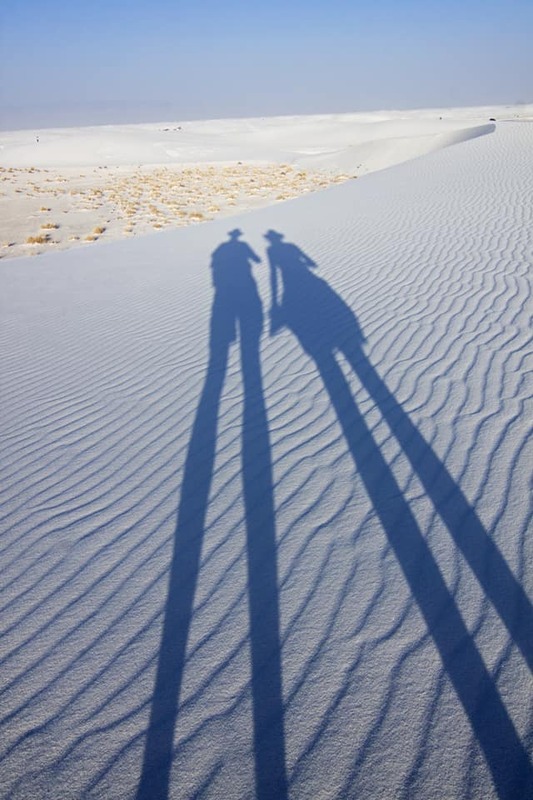 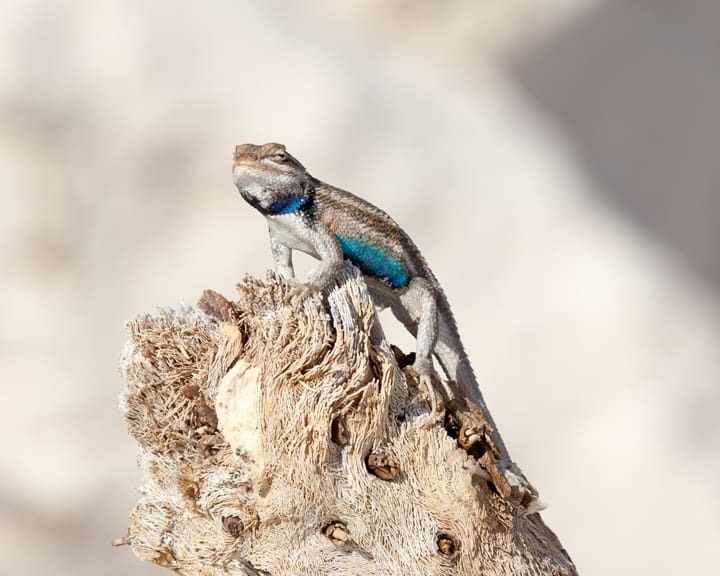 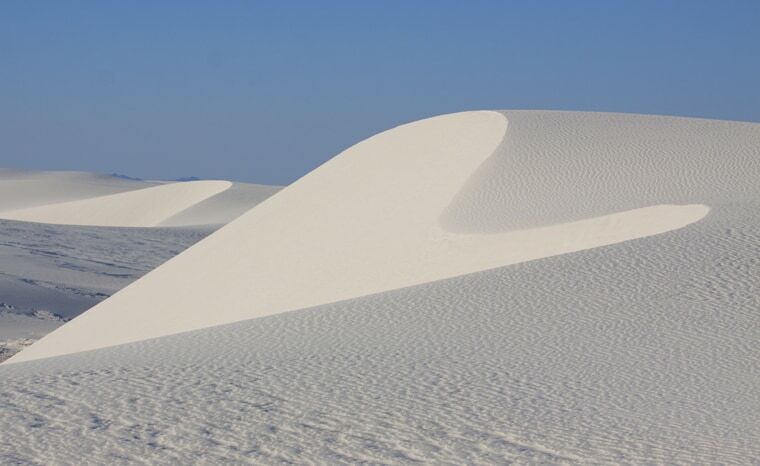 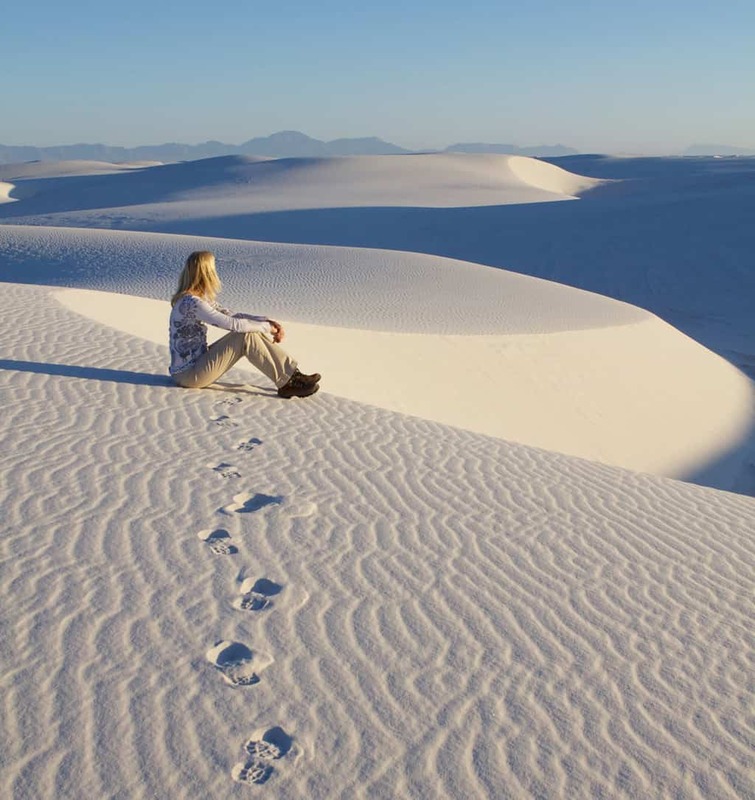 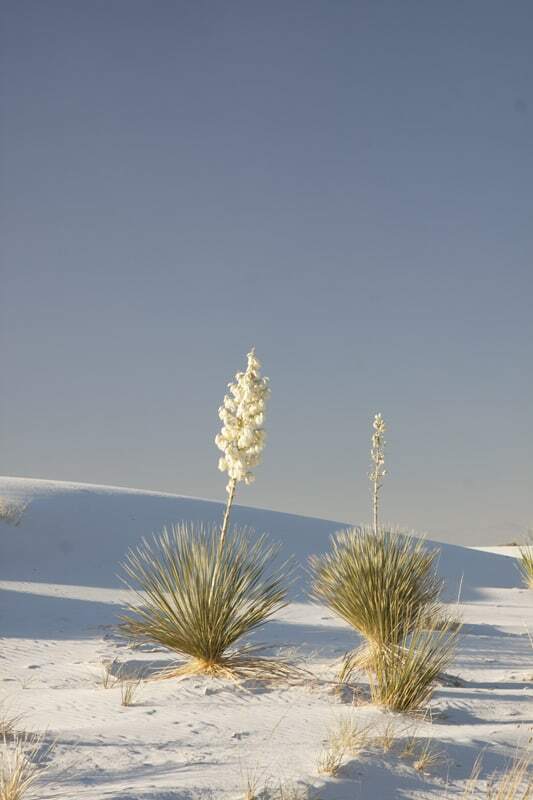 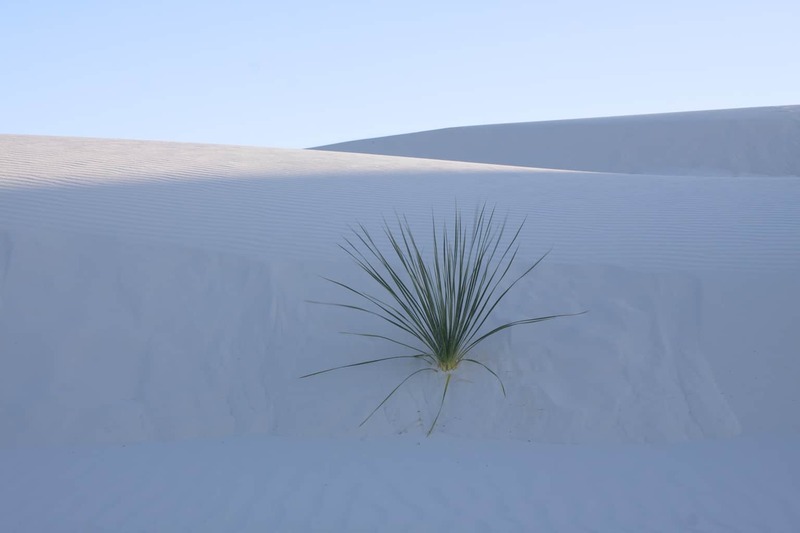 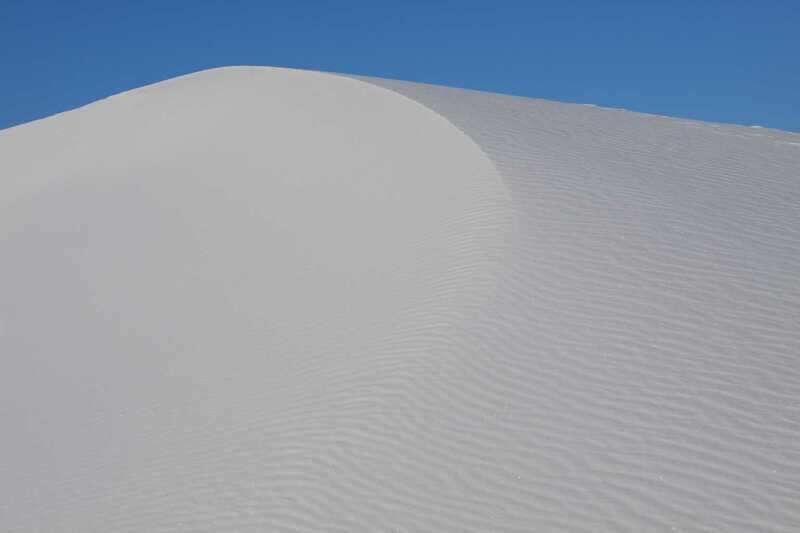 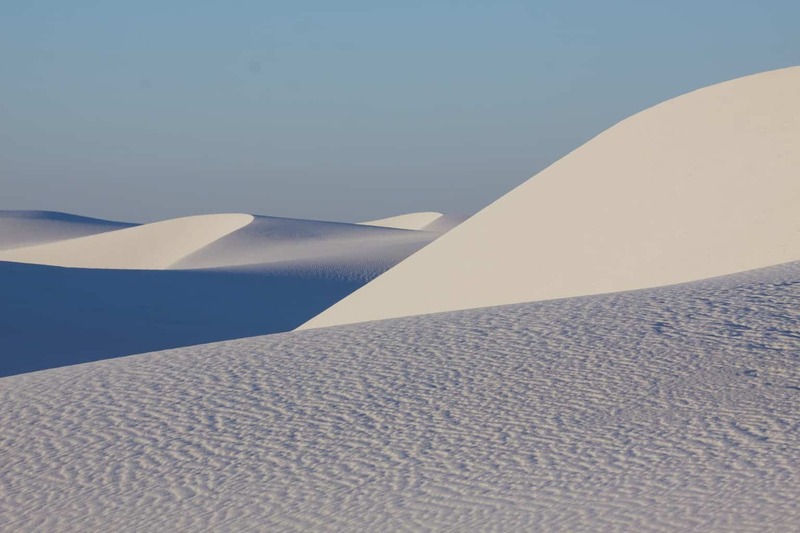 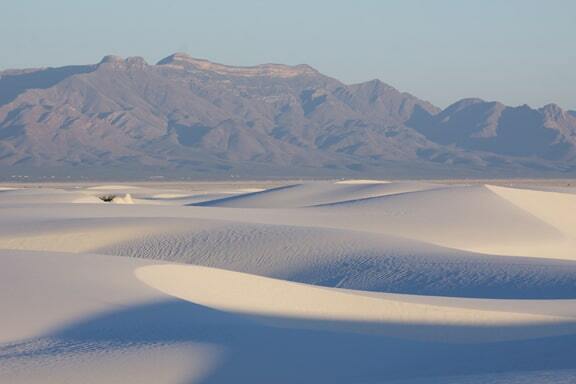 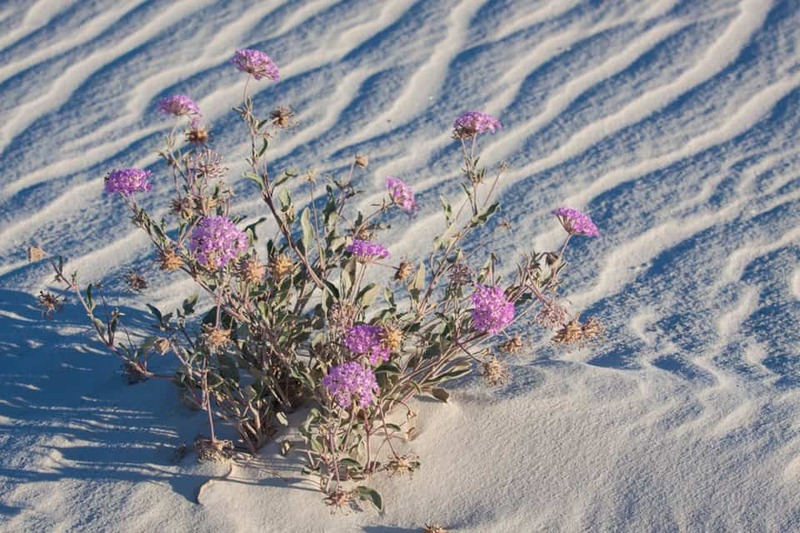 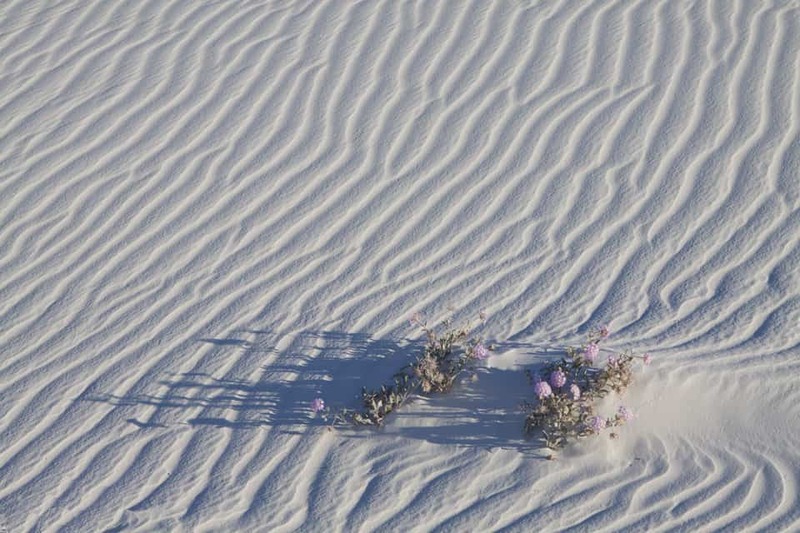 TIP: Photography in White Sands National Monument is spectacular at dawn. 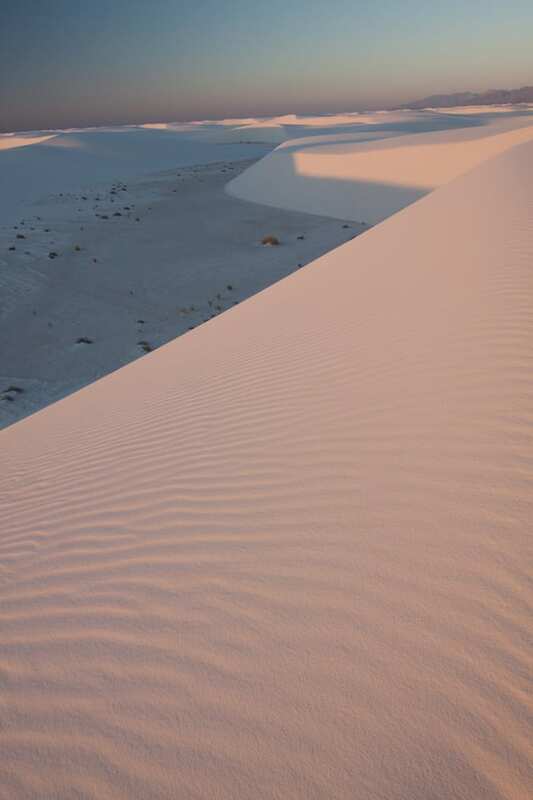 If you’d like to gain acces to the park before sunup, contact the park office to request a special permit that gets you in hours before it opens to the public. 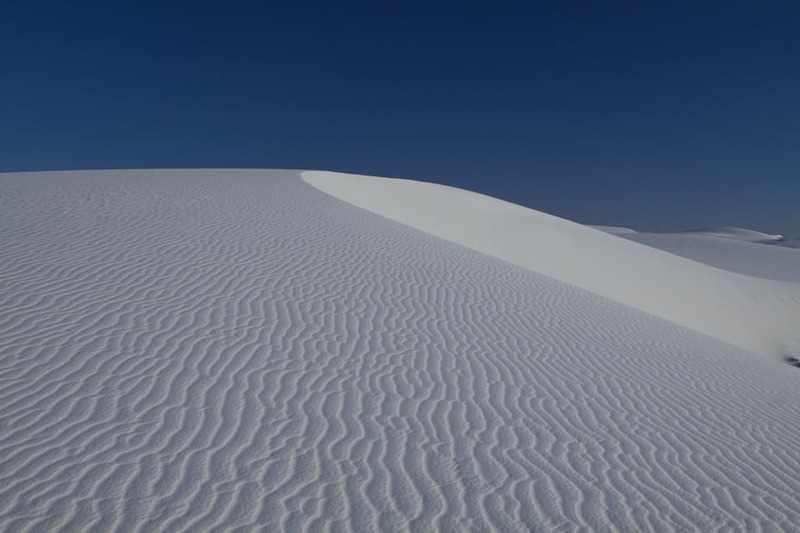 Having such an unearthly landscape all to yourself is priceless.